The real estate industry is full of peaks and valleys. For many agents, these peaks and valleys are often reflected in their incomes, making it difficult for them to build profitable, successful businesses. Almost all agents find themselves facing one or more of the common challenges of the business, which include inconsistent income, difficulty generating high-quality leads, weathering the emotional highs and lows, lack of structure and inability to stand out among the competition. If you’re stuck in the cycle of peaks and valleys, there’s one thing that can help you break out: having a system. When you have a system to follow, you have the tools and strategies you need to stay focused and on track to build your business. The right system not only helps you earn more; it’ll help you save time and create consistency and predictability in your business. While the market may experience peaks and valleys, your business doesn’t have to. The most effective way to build your business is to tap into your existing relationships and ask for referrals. Working by referral allows you to target market your database, nurturing your relationships through consistent contact and providing your clients with valuable information and insight, as well as a high-level of service. When you talk to them, listen for a need you can meet and act on it right away. If your client mentions they’re thinking of replacing the roof on their home, connect them with reputable roofers in your network. Or, if they mention they’re thinking of starting a business, give them a book from your favorite business leaders to help them keep their motivation high. These seemingly small gestures have a big impact and help to build your relationship. A benefit of building your database with people you enjoy working with is it helps you better manage your time and prioritize your day. You won’t waste time dreading an upcoming interaction with a mean or overly-demanding client; instead, you’ll do your proactive lead-generating activities with a smile on your face. 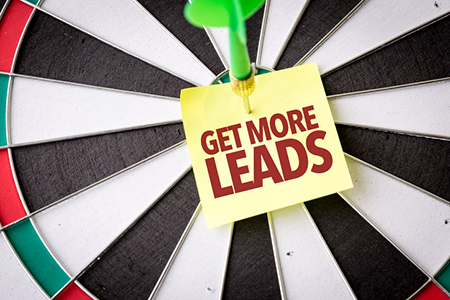 Boost the effectiveness of your interactions by tracking your activities and results; that way, you can see where you stand in your business, tap into more opportunities to connect with your clients and fill your pipeline with a steady stream of leads. Once you’ve developed a relationship with your clients—whether you’re currently working with them or you helped them buy or sell a home a few years ago—ask them for referrals to other great clients like them. Most people will be eager to refer you to their friends, family and co-workers, if asked. Since “birds of a feather flock together,” asking your best clients for referrals helps you ensure you’ll continue to build a database of great people you enjoy working with. If you want to succeed, be sure to cultivate these habits. They’re imperative to developing a lucrative and predictable business. Commit to two hours of proactive lead generation activities each day. This includes calling your clients to check in, writing personal notes to thank clients for their business or delivering small gifts of appreciation to your clients’ homes or offices. Mail an item of value each month to help you reinforce your character and competence as an agent. While these marketing pieces don’t necessarily have to discuss real estate each time, they should cover a topic of interest to your clients, whether they’re current or aspiring homeowners. Always follow up with a phone call after you’ve sent your marketing piece to see how they’re doing and ask if there’s anything you can do to help. This is the best time to listen for a need you can fill, so listen closely. Send a personal note after you speak with your client on the phone to express how much you enjoyed catching up with them. For your best clients, deliver a small gift of appreciation to their home or office to further build the relationship. Don’t forget to ask for a referral each time you speak with your clients. A gentle reminder will help them remember to refer you when a family member, friend or co-worker mentions they’re thinking of buying or selling a home. If you’re not sure how to ask, we’ve created a resource to help you start the conversation.